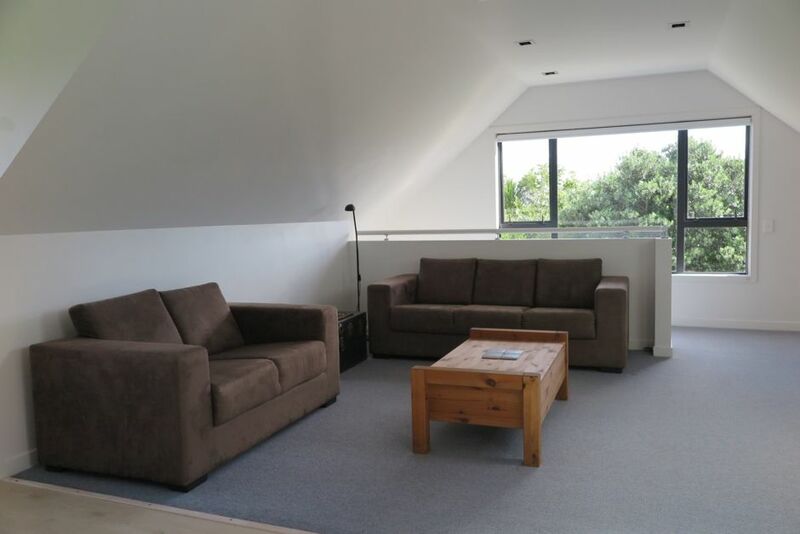 Kotare house is set overlooking Christian Bay and Kawau Island with light all day. We think the Ruru Cottage is especially suitable if you are a couple or have young children who can share your sleeping area. The cottage is fully appointed for you to live and eat during your visit (though with so many local eating places you may not need to cook!). With the Tawharanui Regional Park only 3km away you have access to one of the most beautiful beaches in New Zealand, great for surfing and body boarding. Walking through the bush you will see Takahe, Kiwi, Saddlebacks, North Island Robins and loads more. The area has golf courses, art destinations, fishing, shopping, a three screen boutique cinema and so much more. You have access to part of the courtyard, lawns and are free to explore the covenanted bush. If you wish to do this, make sure you bring suitable shoes as it is a steep valley with a stream at the bottom. The area is perfect for a getaway which still has access to characterful, high quality food, drink, music, cinema, galleries, shopping and a wide range of activities. There is a local publication called 'Junction' which we will leave in the rooms for you, listing everything going on. We have two friendly collie dogs. Please use the outdoor bbq to cook fish and other pungent foods. Please leave shoes in hallway. The famous Matakana Saturday market. Local food, music, crafts and more. On behalf of my parents.. The lodge was beautiful and perfect for their needs as it was almost next to the wedding venue. Highly recommended. Part of a large house, Ruru Lodge is a lovely upstairs one bedroom apartment with double and single bed. Large open plan living area with new kitchen well fitted out. Air conditioner just added was well appreciated! Wonderful natural bush surrounds and very close to small beach. Great place and hosts delightful. Thanks Alysn and Brian. Lovely hosts and property! Great location to surrounding beaches. Hosts and property all great! Good attention to detail, warm welcome, and relaxed setting. We very much enjoyed our stay and look forward to visit again. Thank you! Ruru Cottage was perfect for us. We really liked it. It had everthing that we were after for a long weekend from Auckland. We defintely would like to go back.